UrbanCincy Connecting the Cincinnati region to its urban core. 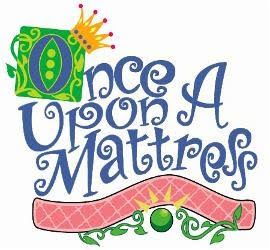 This weekend, Jersey Productions will run their final showings of Once Upon a Mattress. Tony nominated actress Pamela Myers plays the lead, Queen Aggravaine, and Kaitlin Becker perfectly plays the eccentric Princess Winnifred. Children and adults alike will love how well the young actors and actresses portraying a group of children listening to a story actually become involved in the musical numbers. Tickets are still available for this weekend’s showings and can be purchased online, by calling (513) 621-2787, or by visiting the box office. Seeing the play will be the perfect end to a day of fun holiday activities downtown this weekend, including seeing the train display at the Cincinnati Gas and Electric Building, ice skating on Fountain Square, or bolstering the local economy by shopping in the Gateway Quarter. The Aronoff Center for the Arts (map) is located in the heart of downtown Cincinnati’s Backstage Entertainment District. Off-street automobile and bicycle parking is available and the Aronoff Center is well-serviced by Metro’s Government Square bus hub. To see which route is most convenient for you, and to plan your trip now, use Metro’s Trip Planner.